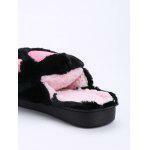 The qualified slippers offer you height without compromising comfort. 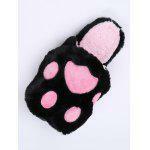 They feature smooth fur upper, soft insole and wearable outsole. The cartoon sole design make them lovely and cute. You can match leisure wear with them.